I discovered it was the 2nd most common pediatric brain tumor, and responsible for the majority of pediatric brain cancer deaths each year. If brain cancer is the leading cause of death in kids with cancer, it’s hardly irrelevant, no matter how you define ‘rare’. May 14, 2017, Santa Clarita, CA—Over half of the states in the USA have had advocates working hard this year at getting a declaration of some kind for DIPG Awareness Day, May 17 for 2017 in support of a DIPG Awareness Day. H.Res.69, the National DIPG Awareness Resolution introduced by Congressman Steve Knight January 30 2017, currently awaits a vote in the House of Representatives. 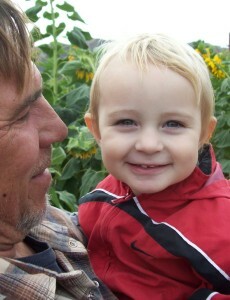 It waited for a vote all year last year as H.Res.586, while roughly more 300 children died of the disease in the US(1). With a simple House vote, H.Res. 69 would acknowledge the children who walk so bravely toward their death in full awareness, the suffering of their families, and the urgent need for greater pediatric cancer research funding. 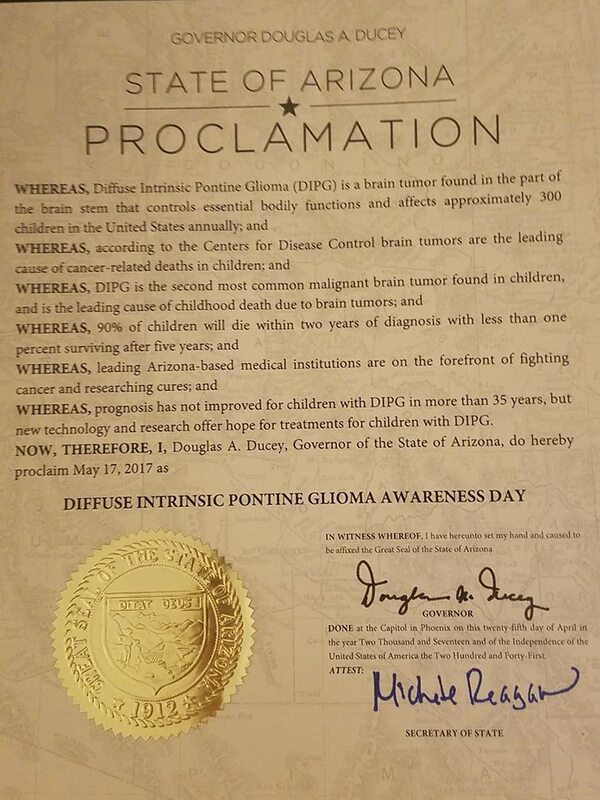 DIPG (diffuse intrinsic pontine glioma) exemplifies in a powerful way the marginalization of every childhood cancer, demonstrating that even with its prevalence—taking more lives than any other brain tumor, and brain cancer being the leading cause of death in kids with cancer—there has been no change in standard treatment protocol nor terminal prognosis for the disease in over 50 years. 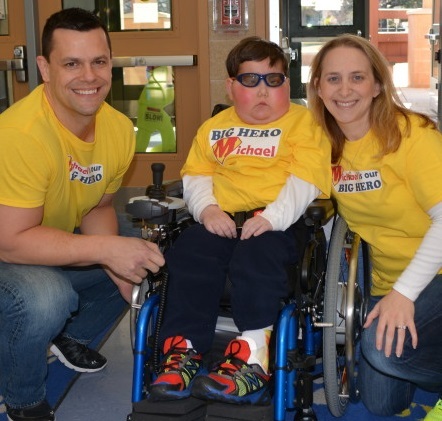 Thanks to Jenny Mosier, Executive Director of the Michael Mosier Defeat DIPG Foundation in Bethesda, MD, a movement was initiated in October 2016 called “DIPG Across the Map”, an effort to get as many States as possible to declare a DIPG Awareness Day May 17, as Michael perished to the disease on May 17, 2015. (www.defeatDIPG.org) So far in 2017, 16 States have made the Declaration and there are some 10 more pending. 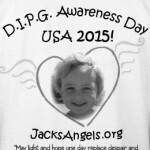 “We are hoping this movement, California included, will lend support for the National Resolution,” says Janet Demeter, president of Jack’s Angels Foundation in Agua Dulce, CA, an instigator of H.Res.69, which, in following suit with the “DIPG Across the Map” movement designates May 17th also for a cohesive effort for DIPG. 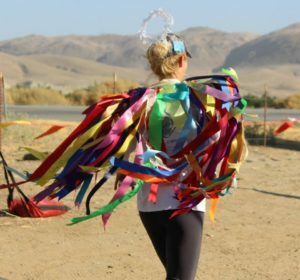 “It’s going to happen, whether in-time, or retroactively, May 17th is DIPG Awareness Day.” Demeter is planning a special celebration in Santa Clarita on the date, which may include a Proclamation from the City Council. It is the reality endured by these children and their families each year that was the original motivation for the DIPG Awareness movement. “On top of a terminal prognosis there is the discovery that your child’s life doesn’t matter to our medical research system, because ‘the numbers aren’t great enough for investors’; I live for the day when no one has to hear that,” explains Demeter. It was her meeting with then CA-State Assemblyman Scott Wilk, moved by her story, who wrote the original California Resolution in 2014 for DIPG Awareness Week. Congressman Steve Knight was State Senator at the time, and Jack’s Angels began working with the Congressman in late 2015, during his first term to help create the National Resolution first introduced in January 2016(H.Res.586), re-introduced to the 115th Congress January 30th 2017 as H.Res.69. 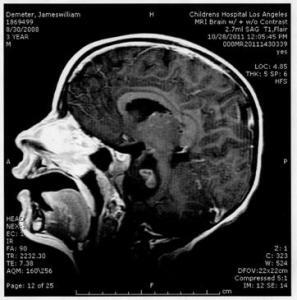 DIPG experts Sabine Mueller of UCSF, Michelle Monje of Stanford University, and Adam Green of UC Denver have all been contributors to the DIPG Awareness Resolutions. Parents have been expected to accept that the 4% of the NCI research budget, and just 2% of ACS and LLS budgets for pediatric cancer research are generous numbers considering the patient population of children in hospitals is proportional to them, but it begs for questions as to how research is prioritized and who makes the decisions. H.Res.69 simply asks that pediatric and high mortality rate cancers have greater consideration for research funding as currently, they are not priorities. Parents have been demanding a conversation about the 4% since 2014 only to hear “no”. There has been no public conversation, no statement, and no official update into pediatric funding percentages from the National Cancer Institute since 2013. 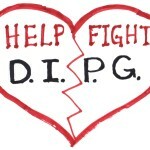 Most parents of children with DIPG are far too emotionally devastated from their experience to take immediately to advocacy or activism. H.Res.69 was written for these parents, and for the children who will never have a voice in our world. For more information about H.Res.69, visit www.hres69.org. This article was written in honor of Julia Barocio and her mother, Sonia Gonzalez, of West Covina, CA. 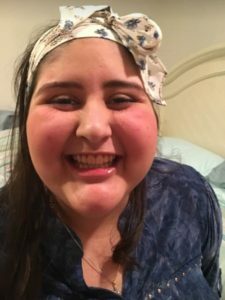 Julia died of DIPG on May 4, 2017. She was an avid softball player at her high school, and wanted to play Softball for UCLA. 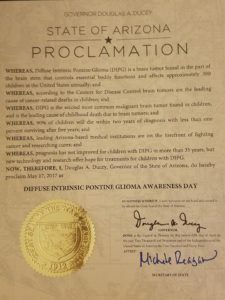 4%, advocacy community, Arizona, Bethesda MD, brain cancer deaths, CA DIPG Awareness Week, CA-State Assemblyman Scott Wilk, California, childhood cancer, Congressional Caucus for Childhood Cancer, Congressman Steve Knight, diffuse intrinsic pontine glioma, DIPG, DIPG Across the Map, DIPG Awareness Movement, DIPG children, H. Res. 586, House of Representatives, HRes69, Jack's Angels Foundation, Janet Demeter, Jenny Mosier, Julia Barocio, marginalization, Maryland, May 17, medical research system, Michael Mosier Defeat DIPG Foundation, Michelle Monje, Minnesota, National Cancer Institute, National DIPG Awareness Resolution, NCI, no official update, pediatric brain tumor, pediatric cancer research funding, political correctness, rare disease, Sabine Mueller, Santa Clarita CA, Sonia Gonzalez, standard treatment protocol, Stanford Universty Adam Green, terminal prognosis, UC Denver, UCSF, Virginia, Washington, White House Briefing. Bookmark.